Andaman is one of the most interesting places in the world. There are many spots in the Andaman Islands which attract tourists from all over the world. The island is home to some of the tribal groups living here since ages. 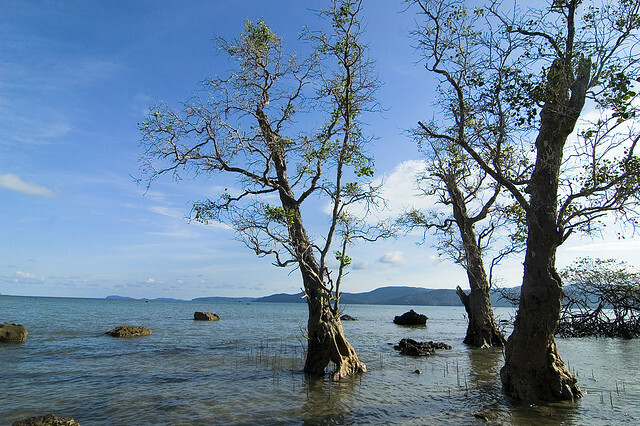 However, there are some things in Andaman that many of the people may not be aware of. So, here we will mention 10 Things to Know about Andaman. Many people may get surprised by knowing this facts. The most common language spoken here is Bengali, Andamanese and Nicobarese. However, there are other indigenous languages too, which are spoken mostly in remote areas and tribal areas. There are many large sized sea turtles found in the Andaman. There are basically four species of turtle found here Olive Ridley, Green turtle, Hawksbill and Leatherback turtle. Many tourists like to see these big turtles. Since 1977, there has been a ban on hunting turtles. The 20 Rupee note has the natural scenic image of Andaman Islands. It’s the beauty of this Island that is reflected on the note. The image of Andaman on the note is a matter of pride for Andaman’s people. During World War 2, the Japanese forces occupied the Andaman Islands in the year 1942. They managed to hold the islands till their defeat in World War 2. Freedom fighter Subhashchandra Bose visited the island and hosted the tricolor flag. There are various species of butterflies in Andaman. Many tourists like to visit the areas where they can find these different butterflies. The natural beauty of Andaman looks stunning with these butterflies. There are many Dugongs” found in the Andaman Islands. This animal has a peculiar body shape, which looks attractive. Due to vast coastal areas in Andaman, this animal can be easily found here. Earlier during the British Raj in India, there were many freedom fighters deported to the Cellular Jail in Andaman. This Cellular Jail was one of the most secure jails in British India. There are various tribal groups in Andaman like Jarawa, Onge, Sentinelese, etc. which are natives of this place since long. These tribal people never interact with tourists nor do they welcome the tourists. The word Andaman is derived from the Malaya language. The Malay word “Andaman” means Hindu deity Hanuman. Very few people are aware of the fact that it is named after the deity Hanuman. In recent years there has been uncontrolled fishing activity carried out in Andaman. This has endangered many of the different varieties of fishes, so the government has banned commercial fishing activities in Andaman. These are the 10 things in Andaman that one must surely know. Andaman is a favorite place of many tourists. I am professional content writer. I have a great experience in content writing. I like to watch movies, surfing internet and reading books. Previous Travel India: 10 Best Souvenirs to Buy in Andaman, #10 is totally unique!